Dr. Kim’s research group is dedicated to advancing microfabrication and nanotechnology with an emphasis on new approaches to fabricate devices with characteristic lengths in the micro to nanoscale from both silicon and non-silicon materials; and demonstrating these devices in multiple application spaces ranging from biomedical structures and devices to energy storage, harvesting, and conversion. 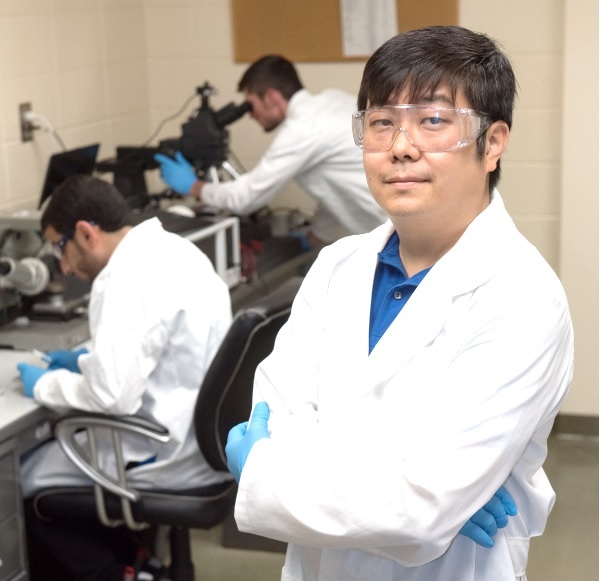 His group strives to not only create new knowledge in the science and technology of N/MEMS fabrication and related application spaces but also to foster the transfer of technology through creation and facilitation of new micro- and nano-enabled commercial products. Research projects in the Nano/Micro Fabrication Laboratory all share the common thread of modeling, design, fabrication, and testing of microscale and nanoscale structures, and/or systems that are enabled by such structures. Some current research thrusts include the following areas: a high-efficiency micro power electronic device, flexibility on an energy storage device, a cost-effective versatile 3-d microfabrication method, and a bio-implantable and degradable RF sensor for human health monitoring.